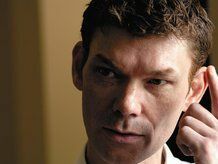 Former FBI cyber-crime expert Ed Gibson has told TechRadar that he is 'concerned' at the media's coverage of the Gary McKinnon case. Gibson – now Microsoft UK's security advisor – has worked as the FBI's cyber-crime liaison in London, but he feels that some of the coverage of the McKinnon case has been sensationalist. McKinnon has been told by the Law Lords that he will be extradited to the US to face charges of hacking into US military and NASA computers – something that he has admitted to but insists was merely to look for evidence of UFOs. Much has been made of a potential 60 year jail sentence and there has been talk of McKinnon being tried as a terrorist and sent to Guantanamo Bay, something that Gibson has been perplexed by. "The talk that he will be tried as a terrorist has left me concerned," Gibson told TechRadar. "Federal Law is very transparent. "You can look online at what he's been accused of and what the recommended sentences are. "They don't have to stick to those sentences, but they are used as guidelines. "I think the representation of Guantanamo Bay and the 60 year sentences are the figment of someone's imagination." McKinnon has stated that he will continue to fight his extradition by taking his case to the European Court.